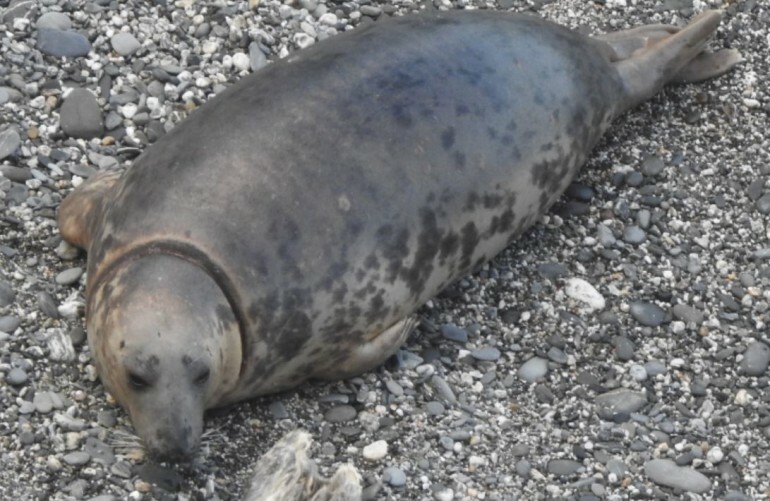 British Divers Marine Life Rescue (BDMLR) received a call (via the RSPCA) last night to say that a seal matching the nettie’s description was hauled out on the mainland beach at West Cornwall. 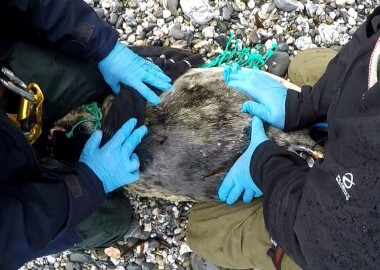 So…my mission this morning was to get yet another early start (I left home at 5.30) to see if the entangled seal was indeed back on the beach. 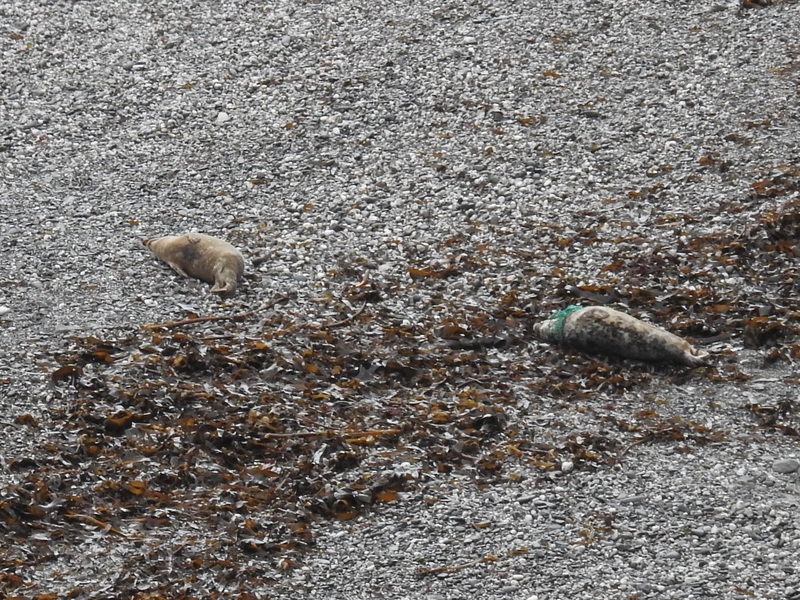 As I reached the clifftop I took a deep breath before peering over and was greeted by the sight of our target seal fast asleep in the middle of the beach! 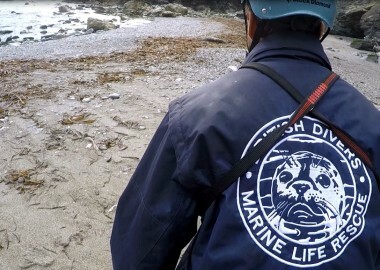 With a great joint effort, rescue volunteers from Cornwall Seal Group Research Trust, BDMLR and the Cornish Seal Sanctuary had been put on standby last night, so a short phone call later and all the necessary personnel appeared! 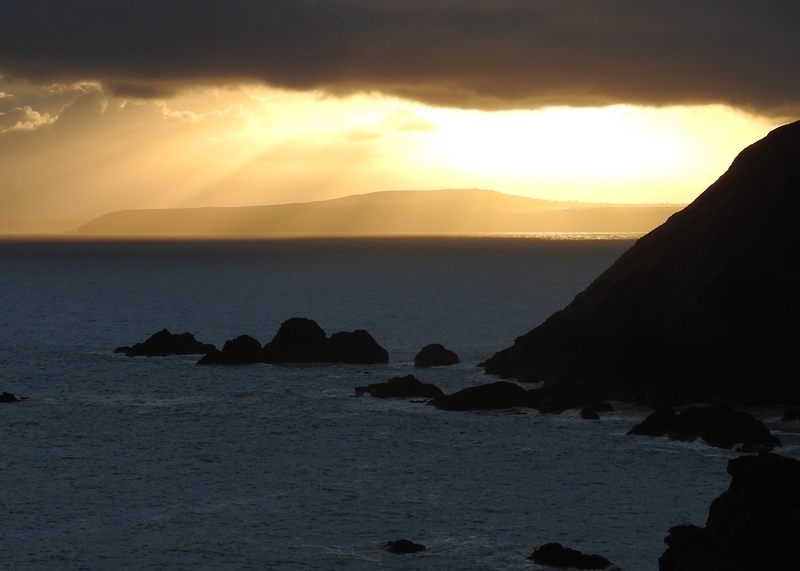 With a rising tide bringing the sea ever closer to the seal, every minute’s delay reduced our chances of getting down the cliff and across the beach to the seal before it saw us and legged it back into the sea where we would be unable to help it. 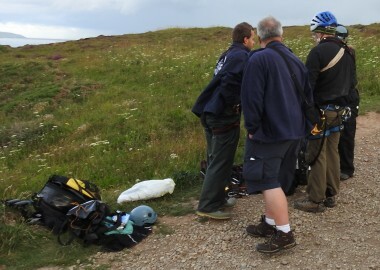 So a very brief team talk later saw the final plans agreed between coordinator Dave and rescuers Chris, Dan and Sue. Despite our need for speed we had to be patient and take it slowly and safely down the cliff, stopping every time we risked catching the attention of the netted seal….it seemed to take forever! The dangerous lower section of the cliff requires rope protection via a short abseil down to the beach…and all done silently without any equipment clanking which would have woken the seal up from its slumber! 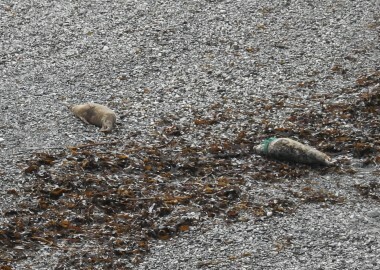 Somehow we reached the beach with the seal still asleep and got to within 20 metres of it before it finally looked around and spooked. 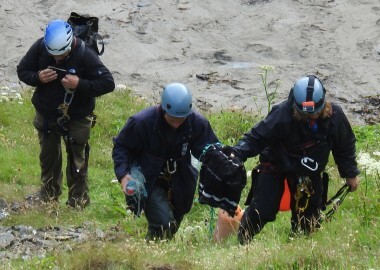 We had split up to provide a distraction and force the seal into a decision that gave us valuable split seconds extra and before we knew it Dan had hold of the seal and Chris had jumped on its rear end to fully immobilise it. Just before the netted seal made a dash for the sea To our great relief we had her! Phew! 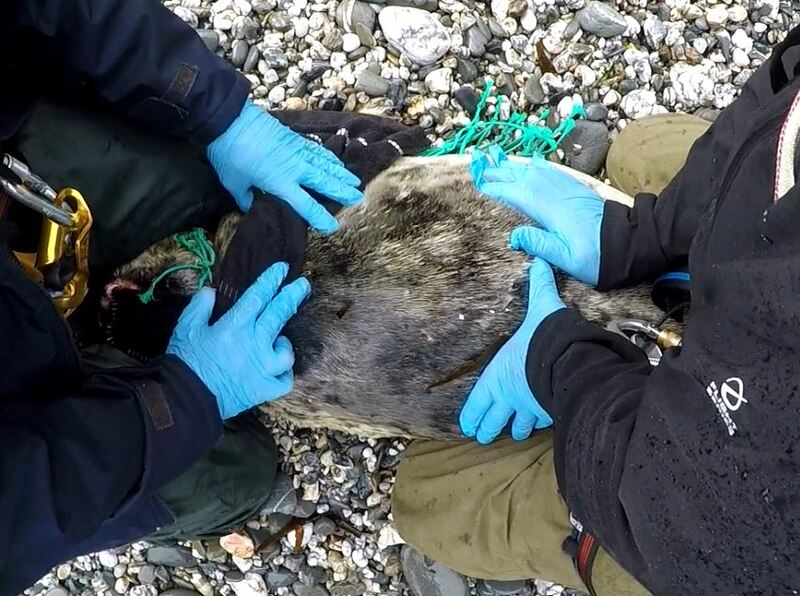 Only then did the smell hit us…the net was deeply embedded in an open wound on the poor seal’s neck. I worked quickly under Dan’s instruction to cut various strands away from the seal’s neck and in less than a minute the seal was free. 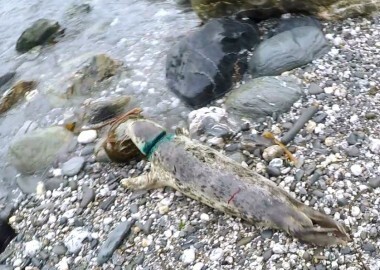 The seal was too big and heavy for us to get her back up the cliff, so a quick antibacterial spray all over the infected skin and a coordinated release saw the seal sprint at top speed into the sea and back to freedom, where we now hope she (now named ‘bunting’) will have a second and much better chance of survival. 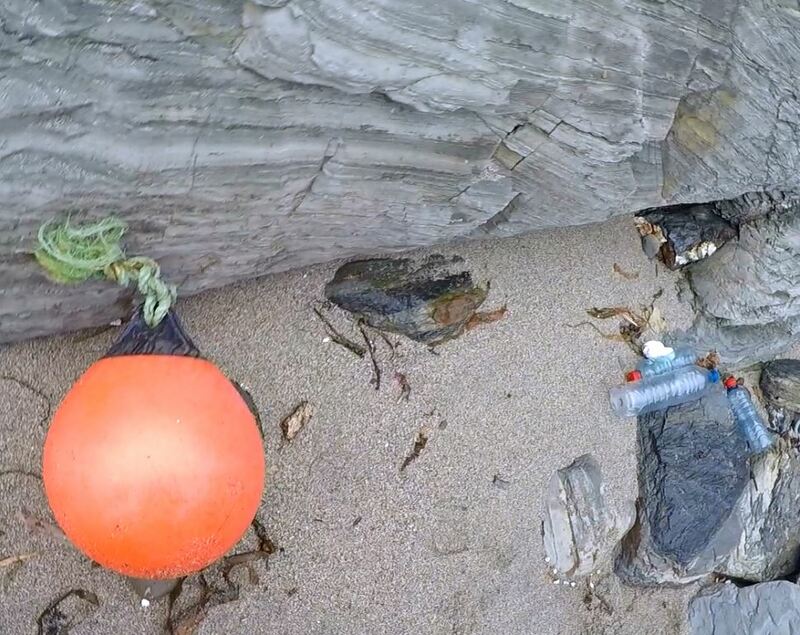 Click here to view the video of Lucky Bunting’s rescue. 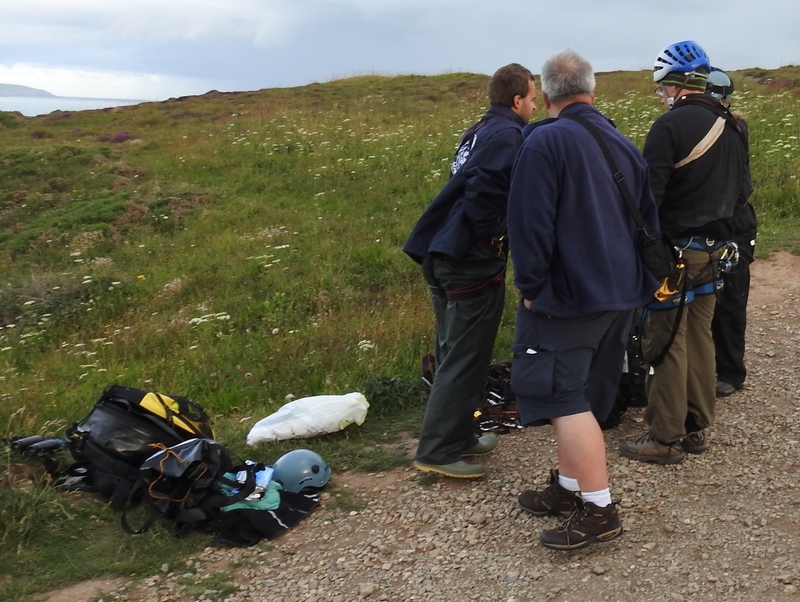 All that remained was for us to do a two minute beach clean and ascend safely back to the cliff top! Job done! 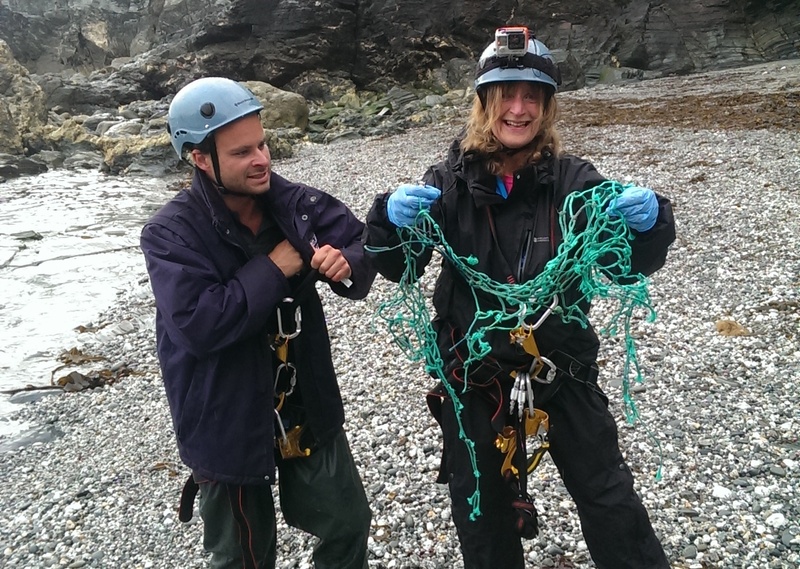 Huge thanks to everyone who was involved in this rescue! It was a brilliant team effort. 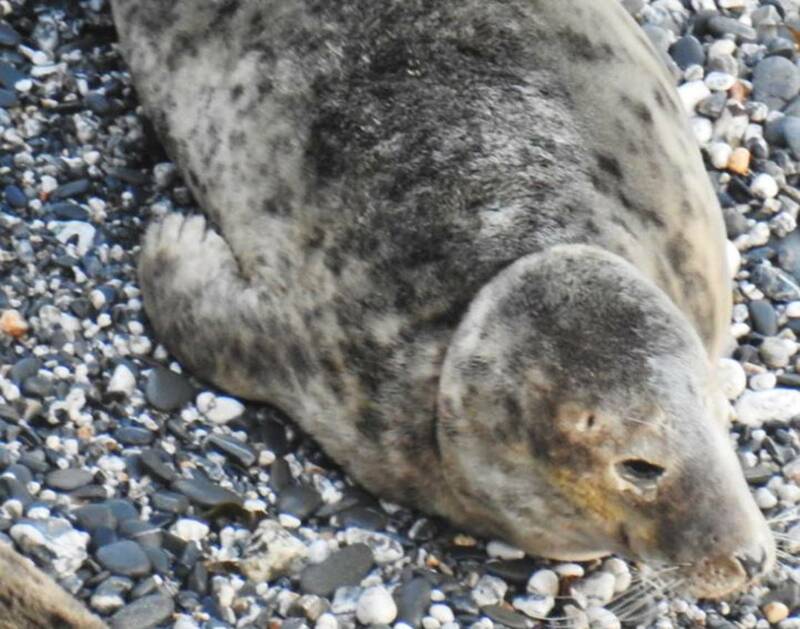 This young seal has now been seen three times since her rescue. She appears to be coping well and enjoying being back in the wild without her trailing noose of net. 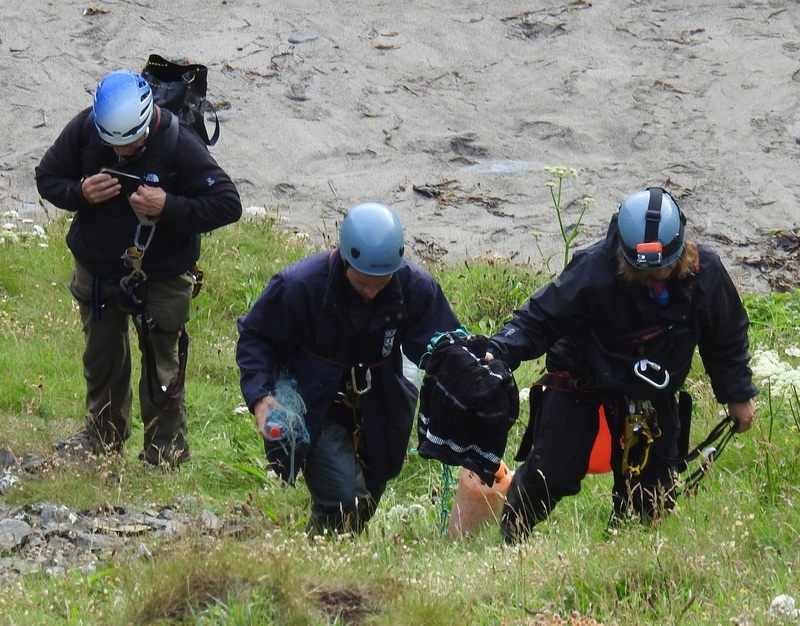 Each time we have identified her, she has been hauled out close to her rescue site. Her wound appears drier and more healed and three weeks on we are confident that she has a very good chance of a full recovery. Let’s hope we are right! 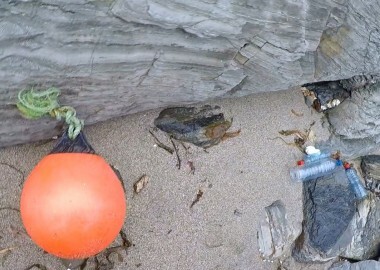 This is the latest photo we have taken of her – one day short of three weeks after her rescue. 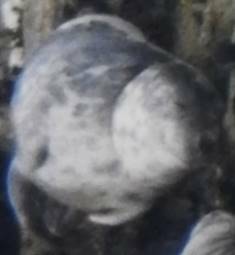 It is grainy as we are a long way away from her, but her pattern matches the photos we took of her prior to, and during her, rescue. Well, we are frankly gobsmacked! 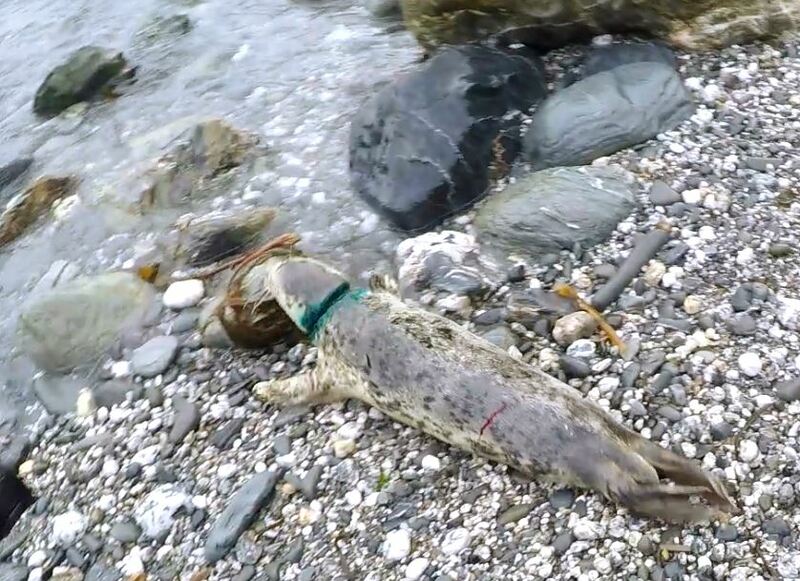 Today there was a small female seal on the mainland haul out beach with an apparent fine line / old neck injury from a previous entanglement. 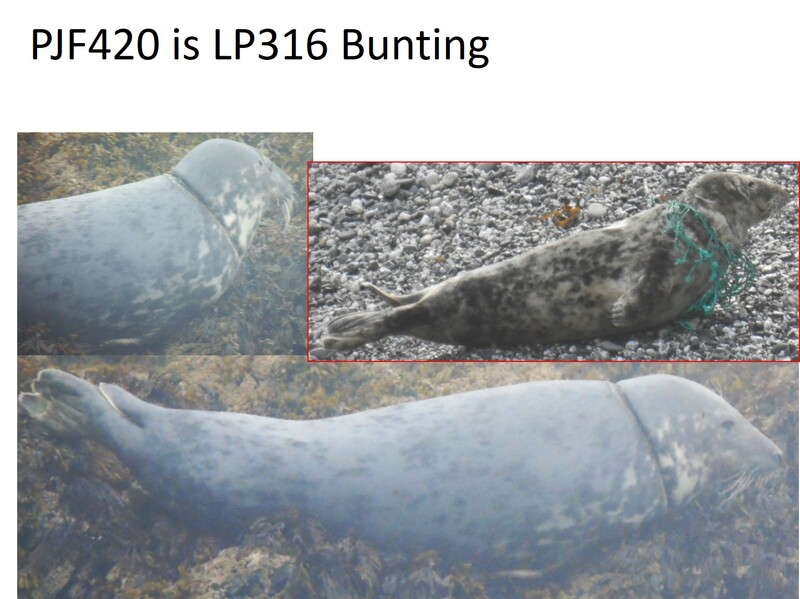 We have heaps of seals like this in our catalogues, but we took lots of photos of her in the hope of identifying her. When we got home and processed the photos for ID….guess what?! YEP! It was Bunting (aka Third Time Lucky) or Lucky Bunting for short. It is so amazing that such a hideous wound can heal up almost fully in just four short weeks. But it has! 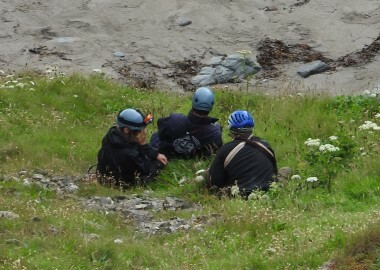 From the clifftop we got clear photos and managed a definitive ID of her (see photo right above). Lucky Bunting looks fit and well, a good weight and her weeping eyes are a sign she is well hydrated, which in turn means she has been successfully feeding herself! 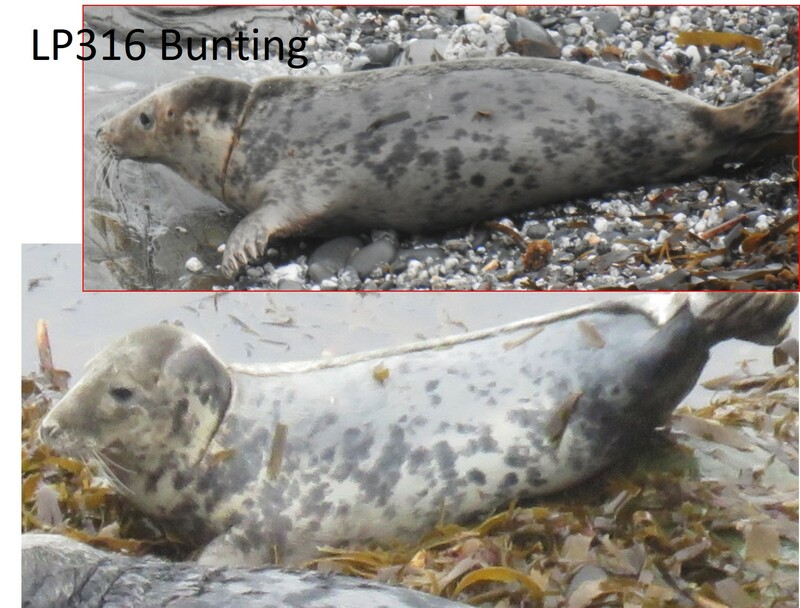 What has pleased us even more is that today, Lucky Bunting was on the exact same beach that we had rescued her from (see photo below). 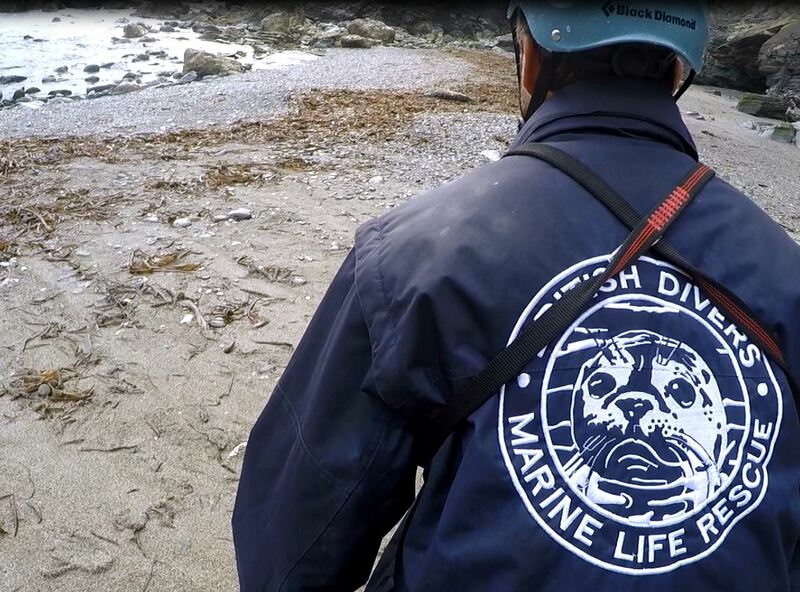 We are hoping that this means her rescue did not traumatise her so much that she has avoided the area. Hopefully she associates the beach more with the positive outcome of her release than by the presence of humans waking her up suddenly, sitting on her and immobilising her. We are genuinely thrilled to see her looking so well and hope you will be too. 55 days after rescue and Lucky Bunting was back on the beach she was rescued from looking relaxed, happy and fully healed! 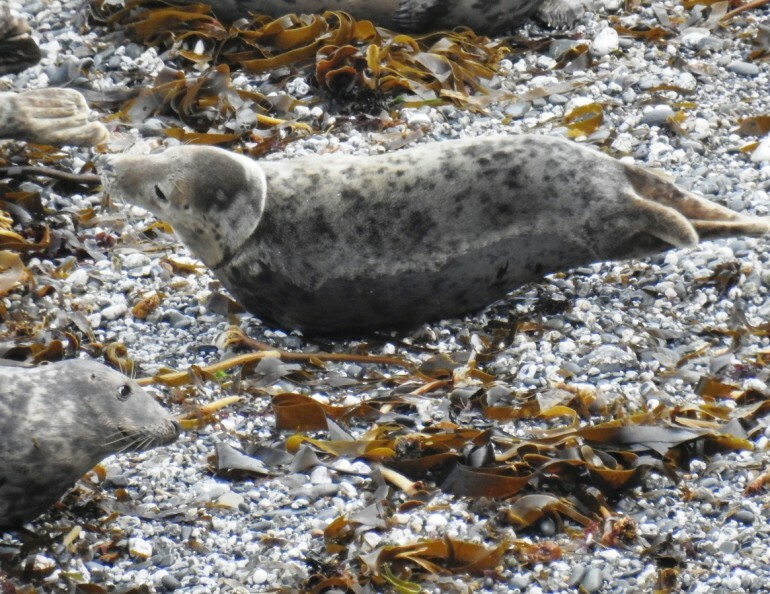 In fact she obviously felt well enough to tell another young seal what she thought about him invading her personal space! 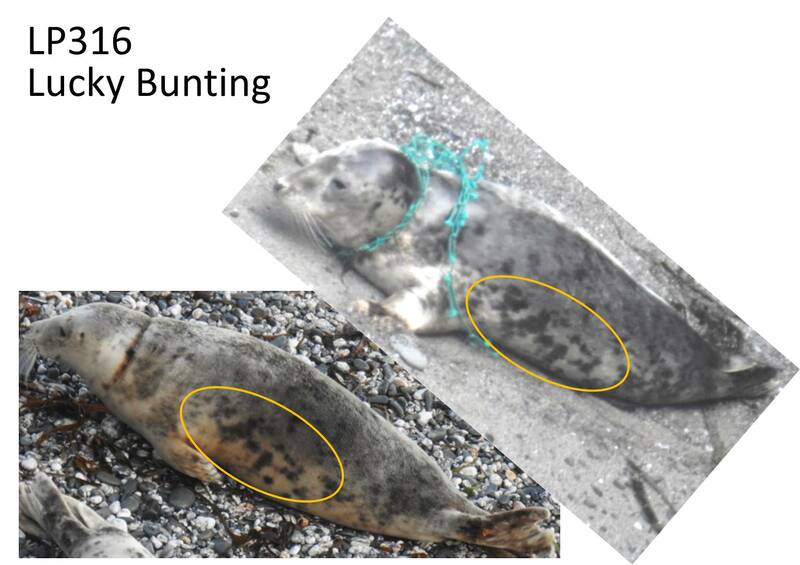 So, Lucky Bunting has recently been re-identified at two sites on the North Cornish coast – Pentire (left below 29/05/17 by Annabelle Lowe and Ian Boreham) and West Cornwall (right below 13/06/17 by Kate and Dave Williams). Even we are amazed at how well what was a hideous wound has healed. She has made me smile again! Look how incredibly healthy she looks! 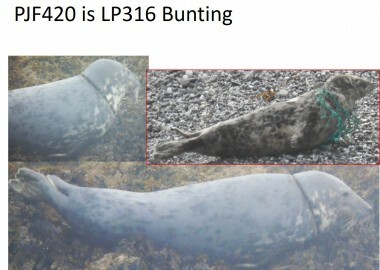 Please email [email protected] to arrange sending us a donation to give other seals like Lucky Bunting a second chance and assess their progress or click here!